Another week, another set of books released. This week sees Kurt Busiek (Astro City, The Marvels) launching a new creator owned on-going series with Image. And it has a very limited variant cover. This variant was only sent to certain shops, not everyone got one and it was not a ratio variant. Already selling for $40+ – this is the book of the week. 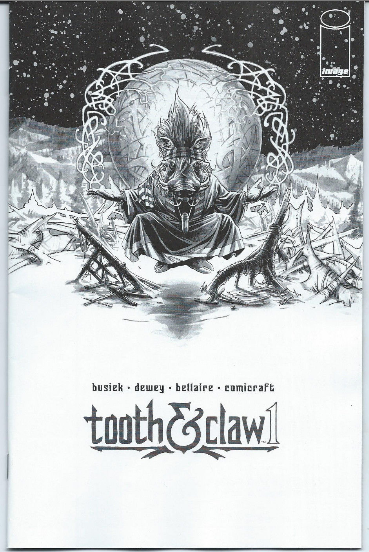 Tooth and Claw #1 Black and White Sketch Cover. Jimmy, this is THE book of late 2014 to get. Thanks for the info.